IN a disgraceful piece of sentencing by, I presume, a press-hating Old Bailey judge (there’s plenty of them out there), a woman prison officer has been jailed for 12 months for selling stories to The Sun about the time George Michael spent in jail. When you think of the ludicrous sentences handed down by the likes of Judge John Bevan QC (it stands for Quite Crackers) for the most awful violence in the street, clever online frauds etc this jailing is wholly disproportionate. So what did she do for her £2,100? Michael had been sentenced to two months when found slumped at the wheel after crashing his car high on drugs. Since he could have killed someone while out his mind, he was the one who should get a year. 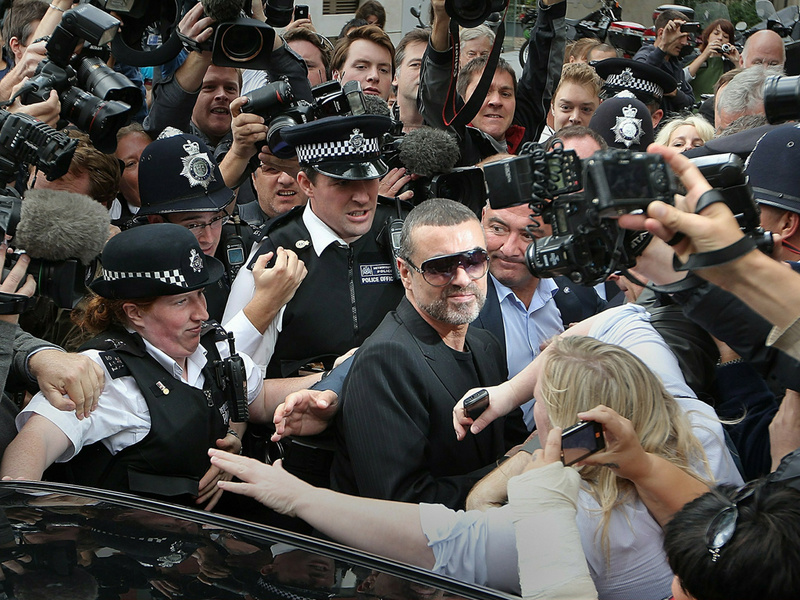 George Michael was a global superstar and his time in jail was not only of interest to the public but also of public interest. Even the dim Judge Bevan should know that. So what did Amanda Watts, 43, who worked at HMP Highpoint, Suffolk, do that earned her such a long sentence? She revealed who visited Michael and gave The Sun a sketch of the singer’s cell. Big deal. Old Bailey juries repeatedly refused to convict journalists for paying public officials so when a judge gets a chance to make an exemplary sentence he takes it with both hands. And grandstanding outside the court because his Operation Elveden has received such a bucket of bad PR is Detective Chief Supt Gordon Briggs, with a justifying quote for the £30million of your money that has been spent on this witch-hunt. I feel desperate for Ms Watts, who suffers from the debilitating illness lupus, and would urge her to appeal this disgusting sentence by a disgusting Establishment court. Sun columnist, Kelvin MacKenzie - he was also the paper's editor during its most viciously homophobic era, 1981-1994. Amanda Watts was paid around £400 a pop for such fascinating stories as Yog's then boyfriend, Kenny Goss, had visited him, and 'he can watch TV and buy snacks... he looks quite slim and old'! The Sun had earlier revealed what George may or may not have had for lunch on his first day inside, possibly pasta and chips. * Who breaks a butterfly under the wheels of a ten ton truck?